Met audiences were fascinated by Mariusz Treliński’s gripping, visionary production of Wagner’s epic opera. 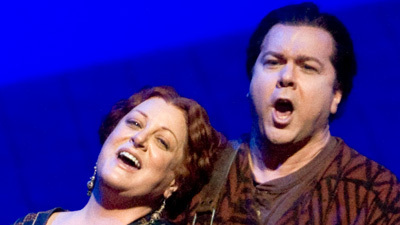 In the daunting title roles of the doomed lovers, Nina Stemme and Stuart Skelton are passionate, overwhelming, and heartbreaking as they battle every obstacle that separates them from their true destiny. René Pape is King Marke, betrayed not only by Isolde but by Tristan, the man he most trusts and loves like a son. 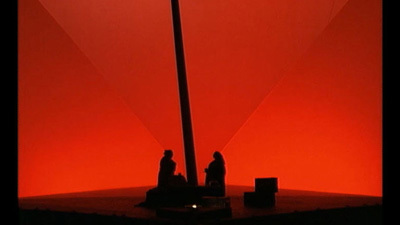 With Ekaterina Gubanova as Isolde’s confidante Brangäne and Evgeny Nikitin as Kurwenal, Tristan’s loyal lieutenant. Simon Rattle conducts a surging, shimmering account of Wagner’s monumental score.